February 29, 2012 – Fresh off his FIM Snowcross World Championship victory in Russia, Pelican Rapid’s Tucker Hibbert will compete at his home race this weekend in Glyndon, Minnesota. The Fargo National at Buffalo River Speedway will feature rounds 10 and 11 of the ISOC National Snocross Tour where Hibbert is the defending Pro Open Champion. Hibbert returned to Minnesota Monday night after a stunning performance at the 2012 World Championship held 400 km northeast of Moscow. He competed against 33 riders from six countries to win the prestigious title for the second time. 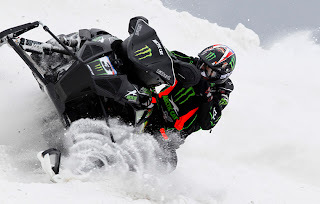 He finished third in Finland last year and won the 2010 event in Sweden. 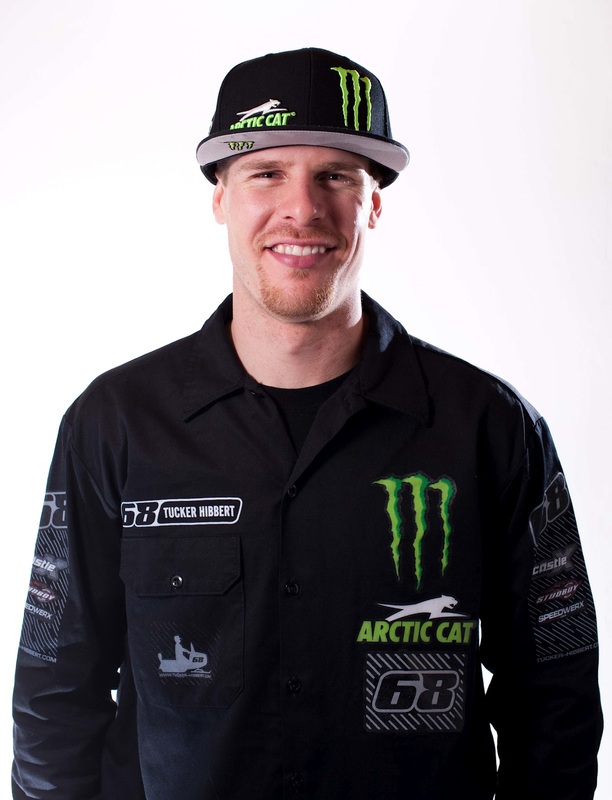 To kick-off the weekend’s race activities, Hibbert will be signing autographs Thursday at Fargo Tractor from 5 to 7 p.m. Stop by to meet him, get a poster and check out his Monster Energy/Arctic Cat Sno Pro 600 that he will be racing this weekend. 9 p.m. Fans can stream the event live online at www.ustream.tv/xsantv and catch the behind the scenes action on NBC Sports Saturday, March 24 at 4 p.m. EST. “I’m pumped for this weekend. It’s going to be fun to race close to home, especially since I was all the way in Russia last weekend. The track is under 30 minutes from my house so I get to sleep in my own bed. It’ll be a nice change! I’m feeling really good after winning the World Championship. I’ve had a couple days to get readjusted so I feel rested and ready to race. I’m motivated to finish this season strong. What: Meet Hibbert, get a signed poster and take an up-close look at his race sled. When: Thursday, March 1 from 5 to 7 p.m.